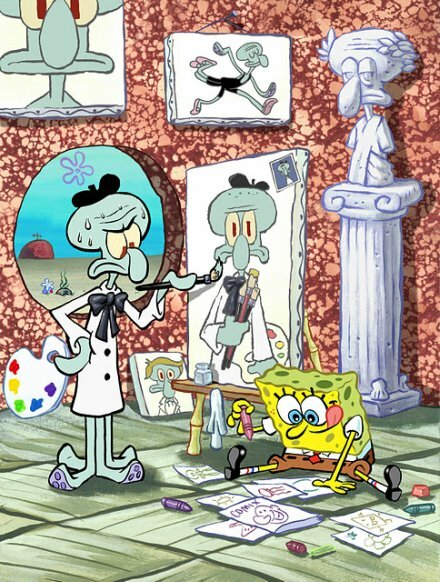 SpongeBob the "Lowbrow" vs. Squidward the "Arteest"
A few years ago, the Village Voice decided to use a SpongeBob theme for their year-end "Best of New York" issue. I got the opportunity to create the cover and eight full-page illustrations for the inside. This one was created for the article on "Best Art in NYC," about the best art in New York City. I had a great time contrasting the childlike unfiltered creativity of SpongeBob with the uptight artsy-fartsy self-importance of Squidward. 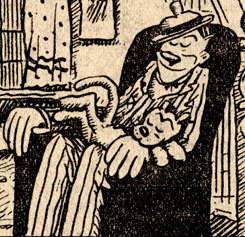 Powerhouse Pepper by Basil Wolverton -- Who’ll Guard the Bodyguard? 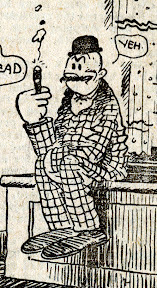 Basil Wolverton's Powerhouse Pepper appeared in various comic books published by Timely Comics, the 1930s and 1940s precursor of Marvel Comics, from 1942 through 1952. 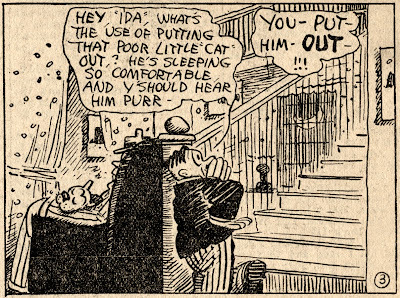 The strip was characterized by alliterative, rhyming dialogue, screwball comedy and throwaway gags in background. 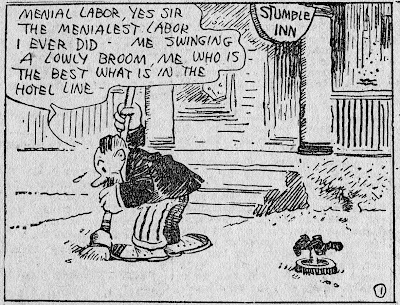 There's a lot of George Herriman's Krazy Kat being reprinted these days, but not so many people are familiar with one of his other newspaper comic strips from the 1920's, Stumble Inn. a character who does absolutely nothing but sleep in the soft chairs in the lobby. I gather from the strip that he's not a paying guest, but rather just a lazy local who takes up space. 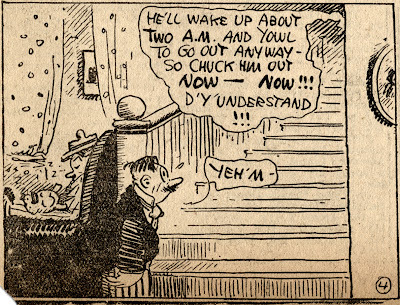 It's amazing how much mileage George Herriman can get out of a character that never so much as opens his eyes! 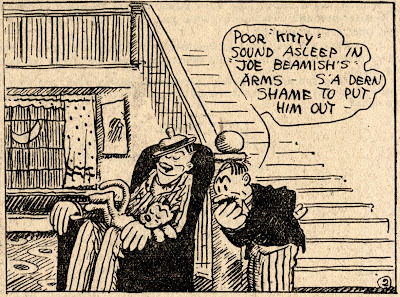 Oh -- and a never-ending supply of "guests"
that can "stumble in" to the strip for added comedy situations. 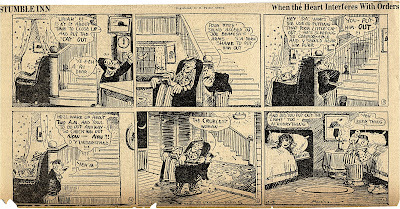 Yes, folks...this giant 6-panel strip is a DAILY comic strip! It measure about 6 inches tall by 12 inches wide. Too big to fit in my scanner. 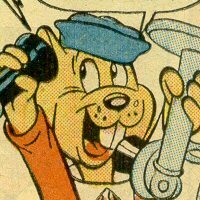 It's bigger than today's Sunday strips! 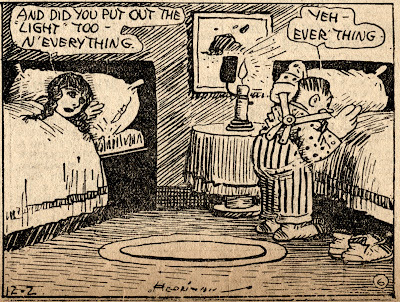 I bought a small run of 26 consecutive comic strips on eBay a few years ago, and every single one of them has just as much love and detail and early 20th century urban funkiness as this one does. 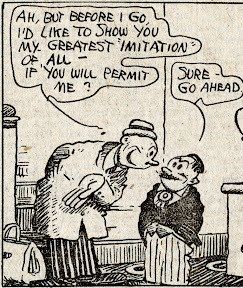 I love when Herriman is drawing in this mode. 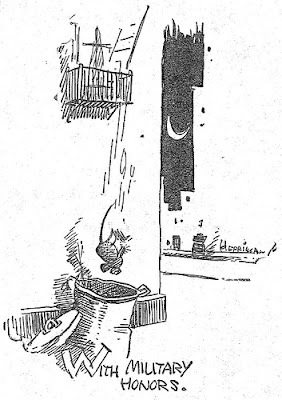 It reminds me of his illustrations for the Archy and Mehitabel books. 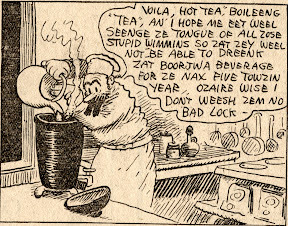 His pen strokes are so assured and bouncy, filling his cartoons with vim and vigor! 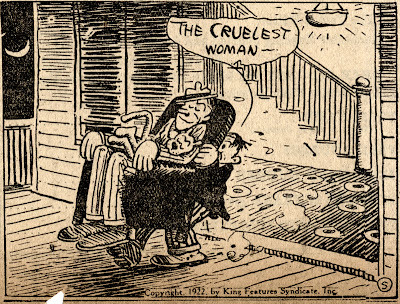 There's a nice example of a Stumble Inn color Sunday page HERE. 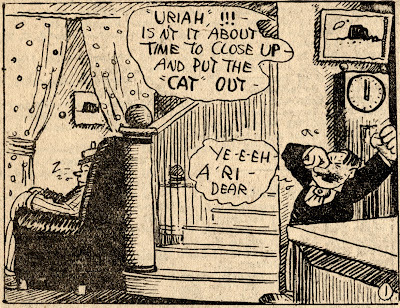 On a personal note, it is the cartooning genius of George Herriman (along with Roy Crane, and Harvey Kurtzman) that got me really excited about the boundless possibilities of cartooning. 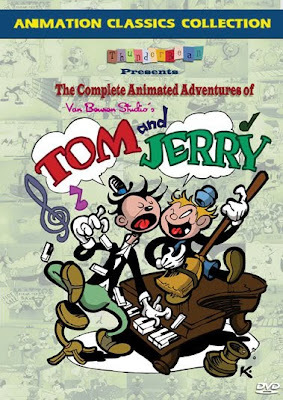 Now that there are so many reprint projects going on, I urge you to seek out the work of these "old masters" of cartoon art. Here’s the whole page…click for a BIG version!